"Thinking of you during your time of loss. Cherish all the memories you have and he will always be with you. Hugs to you all!" "Larry was a great neighbor! Always made me laugh.. a good guy gone too soon! Sending my love to JoAnna, Jennifer and Janice!" "I met Larry when he was up at Larry at Gil's garage. He was a very nice person and would always talk to you when he would see you out and..."
"Watch over me and my cousins pawpaw! I will miss you!" "Give momo and popo a hug for me! I will miss you! Love you <3"
"You were truly loved and will be missed. Until we meet again. RIP"
"I am lighting this candle in memory of my Uncle Larry. Your wings were ready, but our hearts were not. You will be deeply missed, but never..."
"Larry my brother I will miss you forever. You are in my ❤.we will meet again at those pearly gates someday. Love you forever"
"worlds greatest pawpaw 💕 we love you ❤"
Larry L. Finley, 65 of Ashland passed away, Saturday, October 06, 2018 in his home following a two-year battle with Leukemia. He was born on August 31, 1953 in Ashland to the late Lester and Alice (nee Menser) Finley. Larry graduated from Ashland High School. He retired after more than 30 years from Pentair, previously F.E. Myers. 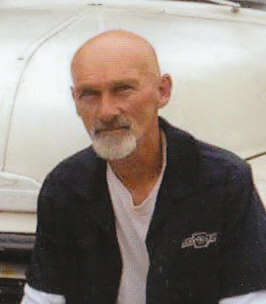 He enjoyed riding motorcycles and restoring old cars with his nephew, Terry Finley; but most of all enjoyed spending time with family and grandchildren. Larry is survived by his wife, Janice Finley of Ashland; two daughters, Jennifer Finley of Ashland and JoAnna Finley of Mansfield; three grandchildren, Jakhayla, Jekhi, and Jace; on sister, Audrey Shapiro of Richmond, Virginia; and three brothers, Lloyd (Charlotte) Finley of Polk; Lenard Finley of Texas, and Lorin (Danene “Ganene”) Finley of Ashland. 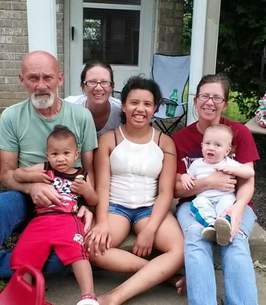 In addition to his parents, Larry is preceded in death by his two nieces, Andrea Felthoff and Crystal Finley. Funeral services will be held Saturday, October 13, 2018 at 5:00 p.m. in the Denbow-Gasche Funeral Home with Reverend Benjamin Roby officiating. Friends may call from 3:00 p.m. to 5:00 p.m. in the funeral home. Interment will be in the Ashland County Memorial Park. In lieu of flowers, memorial contributions may be made to the Denbow-Gasche Funeral Home, 313 Center Street, Ashland, Ohio 44805 to help defray final expenses. Denbow-Gasche Funeral Home & Crematory is handing the arrangements. To send flowers to the family of Larry L. Finley, please visit our Heartfelt Sympathies Store. We encourage you to share any memorable photos or stories about Larry. All tributes placed on and purchased through this memorial website will remain on in perpetuity for future generations. Thinking of you during your time of loss. Cherish all the memories you have and he will always be with you. Hugs to you all! Larry was a great neighbor! Always made me laugh.. a good guy gone too soon! Sending my love to JoAnna, Jennifer and Janice! I met Larry when he was up at Larry at Gil's garage. He was a very nice person and would always talk to you when he would see you out and about. Prays for the family. Watch over me and my cousins pawpaw! I will miss you!